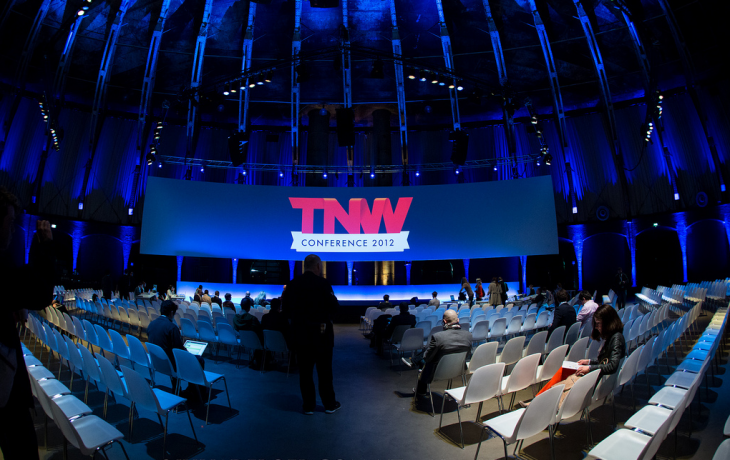 We’ve just sold the 100th ticket to TNW Conference Europe, get your SuperEarlyBird ticket now! We still have over 150 days left until the kick-off of The Next Web Conference Europe 2013. Although that might sound far away, it doesn’t mean we’re not already working really hard to make sure it’ll be twice as amazing as last year. In fact we actually started working on the conference the day after last year’s edition. Each year the conference grows bigger and next year we’re expecting more than 2,000 online professionals to join us in Amsterdam for the eighth edition of The Next Web Conference. Last month we opened ticket sales and we just sold the 100th ticket. Make sure you take advantage of the super early bird discount and receive a free copy of Tim Ferriss’ new book, the 4-Hour Chef, which we’re giving away until the 27th of November. The first startups have also claimed their startup demo desk in the business area. Amongst them are Dutch-based startup Hubskip, a service aspiring to become the next big thing in online travel, and Russian-based startup Buy Me A Pie!, a mobile startup focused on creating the best shopping list app in the market. Both of them will be making their first big appearance at TNW Europe 2013. So far, it’s great to see that the attendees joining us are not only people who will be attending for the first time, but also friends of The Next Web that will be coming back for the second, third or even fourth time. @tnwconference Very much looking forward to it, best conference I attended last year. The Next Web Conference Europe is the place you need to be to connect with industry leaders, business professionals and the hottest startups & investors. We’re looking forward to welcoming you to the conference!